Emma and The Doctor. 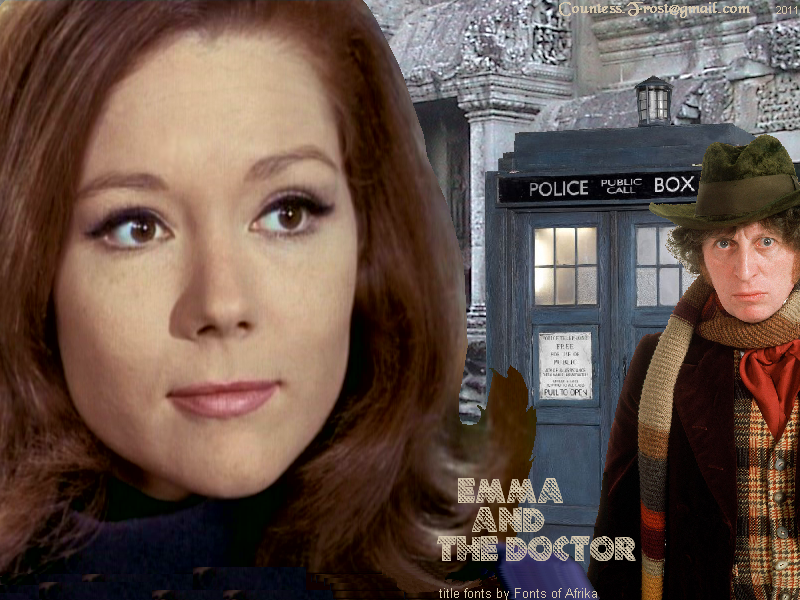 'Emma and The Doctor' - created 由 TheCountess, a crossover 壁纸 of Doctor Who and The Avengers TV shows with the Fourth Doctor (Tom Baker) and Emma Peel (Diana Rigg). 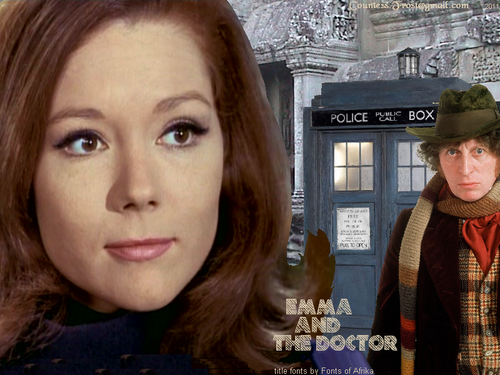 HD Wallpaper and background images in the 神秘博士 club tagged: emma peel diana rigg the avengers doctor who the fourth doctor tom baker tv show fan art wallpaper thecountess. This 神秘博士 wallpaper contains 外衣, 上衣, and 户外休闲服罩衣. There might also be 街道, 城市风貌, 城市环境, 城市场景, 城市设置, 标志, 海报, 文字, 黑板, 文本, 兜帽, 罩, and 发动机罩.